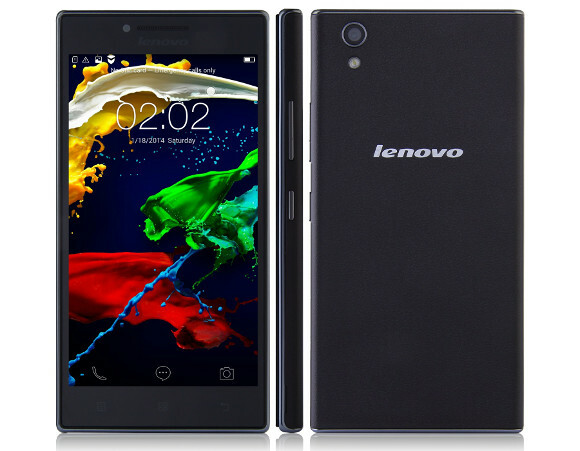 Lenovo has made a new smartphone available in China today. It's called P70, and it's a midranger with the battery capacity perhaps being its main claim to fame. The P70 comes powered by a whopping 4,000 mAh cell, which the Chinese company says may last you up to 34 days on standby. That's quite an achievement for a smartphone in this day and age, though the number does only refer to 2G standby. It goes down to 30.5 days on 4G, and 29 days on 3G. Still, respectable nevertheless. Aside from that, the Lenovo P70 boasts a 5-inch 720p IPS touchscreen, a 13 MP rear camera with LED flash, as well as a 5 MP front-facing unit. Running the show is MediaTek's MT6752 64-bit chipset, coming with a 1.7 GHz octa-core CPU and a 700 MHz MaliT760-MP2 GPU. The handset has 2GB of RAM and 16GB of internal storage, a microSD card slot, dual-SIM functionality, and 4G LTE support (Cat.4, up to 150Mbps download and 50Mbps upload). It's being offered in "midnight blue" only. It runs Android 4.4 KitKat and its dimensions are 142 x 71.8 x 8.9 mm, while it weighs 149 grams. It costs CNY 1,399, which right now means about $224 or €198.